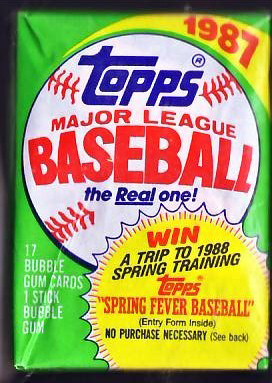 Comments: 1987 Topps is special to me. It was the first issue I remember seeing. Some kids were playing with cards at the bottom of my street and I remember looking through them, joining the fun. The Dave Winfield card stands out for me and because of that day he became my favorite player. 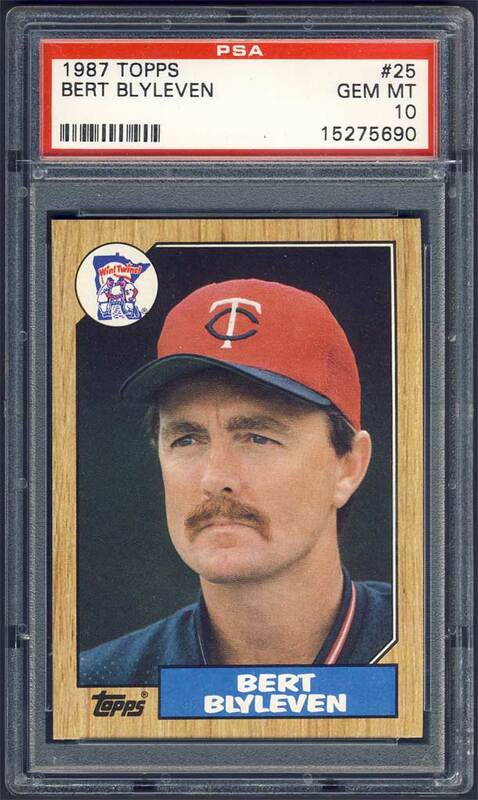 But, it's the Blyleven card that landed in this collection. I felt like he was going to make the Hall of Fame someday so I picked up a PSA 9 example through eBay in Sept, 2007. I was able to upgrade to this GEM MT copy a few months later in Apr, 2008. 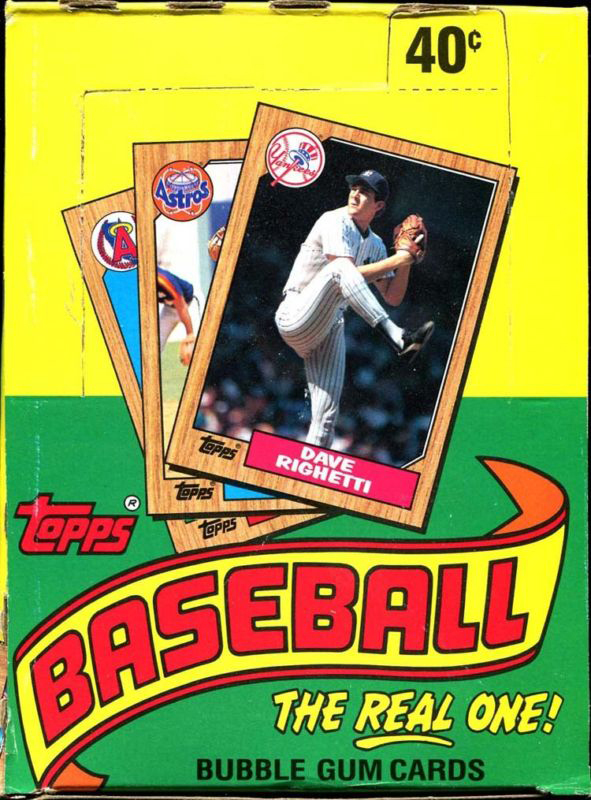 I'll always love these wood grained cards for that day back in 1987 when I started collecting cardboard. 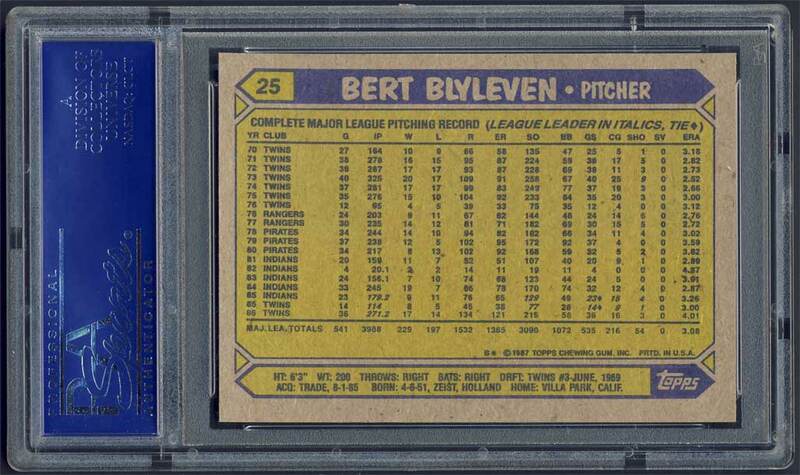 Description: The design of Topps' set of 792 2-1/2" X 3-1/2" cards is closely akin to the 1962 set in that the player photo is set against a woodgrain border. 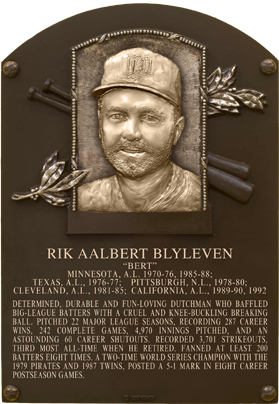 Instead of a rolling corner, as in 1962, the player photos in 1987 feature a couple of clipped corners at top left and bottom right, where the team logo and player name appear. The player's position is not given on the front of the card. For the first time in several years, the trophy which designates members of the Topps All-Star Rookie Team returned to the card design. As in the previous three years, Topps issued a glossy-finish "Tiffany" edition of their 792-card set.